The Yankee Candle Illuma Lid jar toppers are specifically designed to reduce the effects of drafts. Simply place a lid on a jar candle and it will help the candle flame burn steadier while allowing superb distribution of the scent. 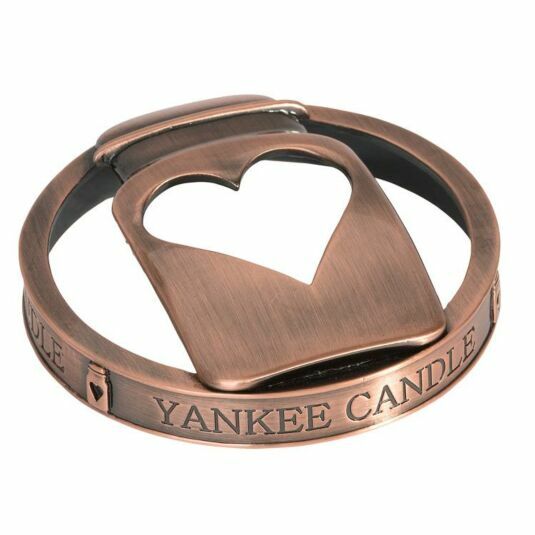 Designed to fit the large and medium jar candles, this one comes in burnished bronze metal, with a facsimile of a Yankee Jar in the lid and a heart-shaped hole for the candle flame.